Download article (PDF, 195 kb, ZIP), use browser command "Save Target As..."
An approximated 3D matrix model of piezoceramic ring loaded on each face is proposed. Ring is treated as a three-dimensional structure whose vibrations can be described by two coupled differential equations. Solution of this system are two orthogonal wave functions which depend only on one axis, corresponding to the propagation direction, and which satisfy the boundary conditions only in an integral form. With this model, which describes both the thickness and the radial modes, and the coupling between them, the piezoceramic element is schematized as a five-port system, with one electrical and four mechanical ports, one for each surface. The electrical impedance of the sample can also be easily computed. Also, the computed and experimental results are compared. Compared with numerical methods, the computation is time-saving. Сitation: Dragan D. Mančić, Milan Dj. Radmanović. Piezoceramic ring loaded on each face: a three-dimensional approach. Electronic Journal “Technical Acoustics”, http://www.ejta.org, 2002, 1. Brissaud M. Characterization of piezoceramics. IEEE Trans. Ultrason., Ferroelect., Freq. Control. Nov. 1991, vol. 38, no. 6, pp. 603-617. Iula A., Lamberti N., Pappalardo M. A model for the theoretical characterization of thin piezoceramic rings. IEEE Trans. Ultrason., Ferroelect., Freq. Control. May 1996, vol. 43, no. 3, pp. 370-375. Iula A., Lamberti N., Pappalardo M. An approximated 3-D model of cylinder-shaped piezoceramic elements for transducer design. IEEE Trans. Ultrason., Ferroelect., Freq. Control. July 1998, vol. 45, no. 4, pp. 1056-1064. Hayward G., Gillies D. Block diagram modeling of tall, thin parallelepiped piezoelectric structures. J. Acoust. Soc. Amer. Nov. 1989, vol. 86, no. 5, pp. 1643-1653. Five piezoelectric ceramics. Bulletin 66011/F, Vernitron Ltd., 1976. Dragan D. Mančić - doctorant at Faculty of Electronic Engineering (Electronic Engineering University, Niš, Yugoslavia). BS (1991), MS (1995). Current research interests: power electronics, modeling and optimization of power ultrasonic transducers. Milan Dj. 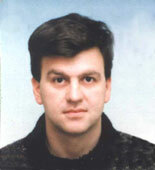 Radmanović - Associate Professor at the Department of Electronics, Faculty of Electronic Engineering (Electronic Engineering University, Niš, Yugoslavia). 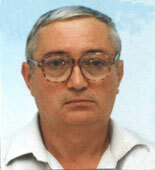 Ph.D (1989, University of Niš). Current research interests: power electronics and high power transducer design.